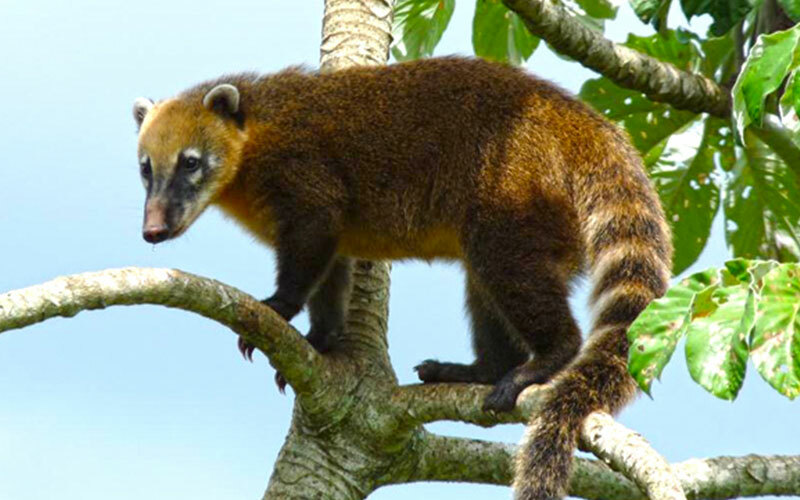 The Ring-Tailed Coati is widespread in tropical and subtropical South America particularly in Colombia, Uraguay and northern Argentina. Typically they live in the forest but can live both on the ground and in trees. They are omnivorous animals and primarily eat fruit, invertebrates, other small animals and bird eggs. Coatis search for fruit in trees high in the canopy and use their snouts to poke through crevices to find animal prey on the ground.